Obasanjo the New Ruby King of FESTAC & Patron of African Culture – Royal Times of Nigeria. Oba Adeyeye Ogunwusi, the Ooni of Ife, has been billed to crown ex-president Olusegun Obasanjo as the “Ruby King of FESTAC” and “Patron of African Culture” during the 40th anniversary of the hosting of the World Blacks and African Festival of Arts and Culture, FESTAC. 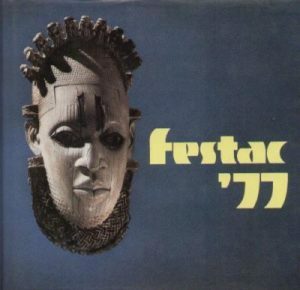 The soon to be Ruby King of FESTAC while giving his opening speech during the commemoration of FESTAC’77 @ 40 at the University of Lagos described it has a celebration of African diverse and rich cultural heritage and not a fetish festival as erroneously believed. Obasanjo who made the clarification said that many Nigerians had taken the festival as a celebration beyond the physical but failed to realise that it was a celebration of Africa’s rich cultural diversities. Obasanjo also said that the commemoration of FESTAC ’77 would highlight the diverse contributions of blacks and Africans to universal arts and re-discover the ties which bind all blacks and African people together. 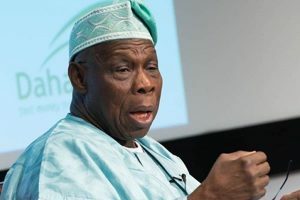 Obasanjo therefore urged Africans to disregard every negative narrative about them by others, urging the people to always remember that humans emanated from Africa.